The York Revolution’s 10th anniversary season will be ushered in with the third iteration of their downtown home. The former Santander Stadium, previously Sovereign Bank Stadium, will now be known as PeoplesBank Park through at least the 2022 season. The various options for the current agreement between the Revolution and PeoplesBank could extend the deal as long as 2035. Prior to the 2014 season, the ballpark’s name was changed from Sovereign Bank Stadium to Santander Stadium, following Spanish banking conglomerate Santander’s purchase of Boston-based Sovereign. The agreement with PeoplesBank means the York Revolution’s stadium naming rights belong to a York County-owned company for the first time. Thank you fans for a great 2015 season! The video above is just a small token of our appreciation for what was a wonderful ninth season in Downtown York. You may have heard rumblings by now, but big things are in store for next season when we’ll celebrate our 10th anniversary. (CLICK HERE to vote for the 10th Anniversary team.) As usual, Revolution fans were the truth during the 2015 season, and right through the final series against Somerset. The second to last game of the season September 19 drew a season-high 6,291 fans to Santander Stadium (11-6 win), and a day later the season ended with the third-largest crowd of 2015, when the Little League National Champions from Red Land were in the house in front of 6,053 (7-3 win). 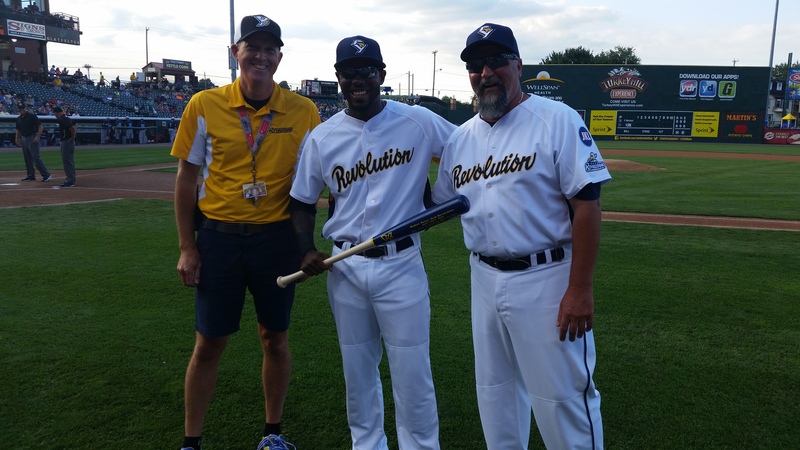 Prior to the game on August 7, Andres Perez was presented with a commemorative bat by Revolution President Eric Menzer and Manager Mark Mason, for becoming the all-time franchise hits leader and the first Rev to reach the 400-hit plateau. Already having taken over the top spot on the Revolution all-time hits list July 19, and the all-time total bases tally a day later, Andres Perez truly kicked his summer into high-gear August 5-8 in a four-game home sweep of Southern Maryland. The sweep saw York pound out a season-high 18 hits twice, (11-18-17-18), outscoring SOMD 39-13 while piling up 64 hits (seven homers). The sweep also extended York’s home winning streak to nine consecutive games, the second longest in franchise history. The only 10-game Revolution home win streak to date came between August 19 and September 1 in the 2011 championship season. The 39 runs in a four-game series is the third-highest total for the Revs in such a series in their history, and the most since 2010 when they scored 42 runs in four games at home against Camden in July, and 52 in four against Lancaster later that season in September. With Atlantic League rosters needing to be reduced to 25 active players on June 1, the York Revolution has released starting pitcher Corey Thurman. The transaction concludes the tenure of easily the most decorated player in franchise history. Thurman has 66 Atlantic League wins, all with the Revolution, placing him second on the league’s all-time win list. 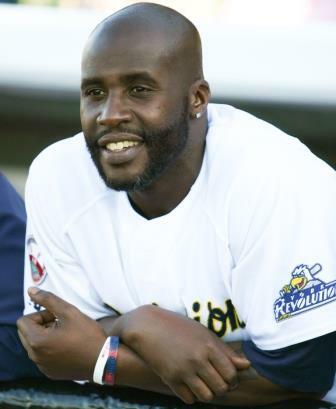 Thurman, 36, first came to York for the 2008 season. Going 11-9 that year, he posted his first of four double-digit win seasons with the Revs. Thurman’s best two-season run came in 2011 and 2012, when he went a combined 27-6 those years, with a 3.58 ERA. Thurman was 66-50 career with York. “Every decision we make with regards to our roster is a difficult one,” said Revolution Field Manager Mark Mason. “This decision was obviously the toughest, knowing how important Thurm is to our fans, our area, and to the history of this franchise. He’s a great competitor and has been a tremendous pitcher in in the Atlantic League,” Mason continued. “Throughout my tenure here as pitching coach and manager, his contributions as a pitcher were obvious. The real intangibles; his work with young baseball players in York County, the joy he gave fans, and the way he motivated and cared about his teammates is what we’ll miss about him most,” said Mason. Former York Revolution reliever Ian Thomas pitching at Citizen’s Bank Park in Philadelphia on April 14, 2014. Former York Revolution reliever Ian Thomas (’12) is headed back to the big leagues. He was recalled by the Atlanta Braves from Triple-A Gwinnett on April 21 to begin his third separate stint in the Majors with Atlanta since the beginning of last season. In four minor league appearances so far this season, Thomas struck out seven without allowing a run or a walk, and allowed just one hit in 6.1 innings of work. A season ago, Thomas made Atlanta’s opening day roster after spending all of the 2013 season at Double-A Mississippi, with no Triple-A experience. He debuted on opening day in Milwaukee, then collected his first Major League strikeout against Bryce Harper in his second appearance in Washington. 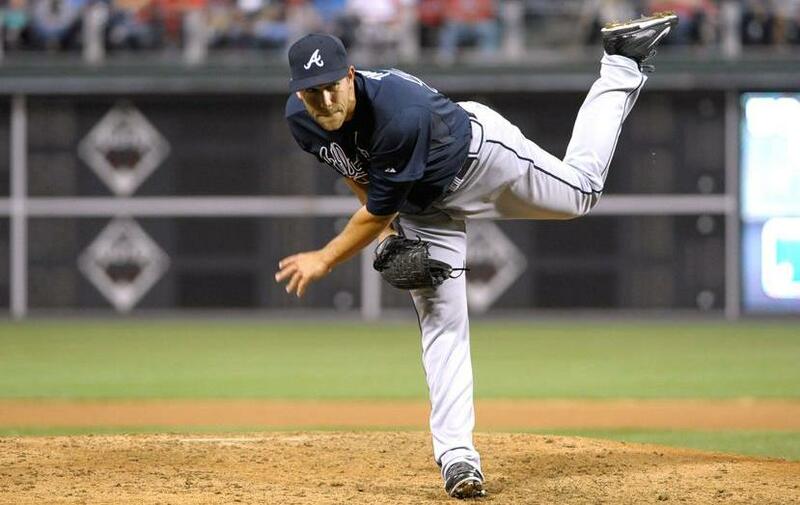 Thomas spent the rest of 2014 back and forth between Atlanta and Gwinnett, gaining 16 MLB appearances out of the Braves bullpen, striking out 13 in 10.2 innings. This past offseason, Sports Radio 1350 WOYK, under the guidance of Central PA radio czar Darrell Henry, debuted the “Revs Hot Stove Weekly” program each Friday at 4 p.m. Each week, Henry and Revolution Manager Mark Mason unveiled the latest player signings to the Revs roster exclusively on WOYK. While that show has run it’s course until it returns next February, WOYK will continue it’s commitment to year-round Revolution programming with the debut of “Revs Friday Night Live.” Hosted by Henry and Paul Braverman, the show will be live 5 p.m. to 6 p.m. from the brand new WOYK studios on the Brooks Robinson Plaza at Santander Stadium, prior to every Revolution Friday night home game. Revs Hot Stove Weekly will air every Friday at 4 p.m. on Sports Radio 1350 WOYK until the team is fully-formed in April. It’s the only place to hear the latest additions to the 2015 roster first, as they are announced exclusively on the show. 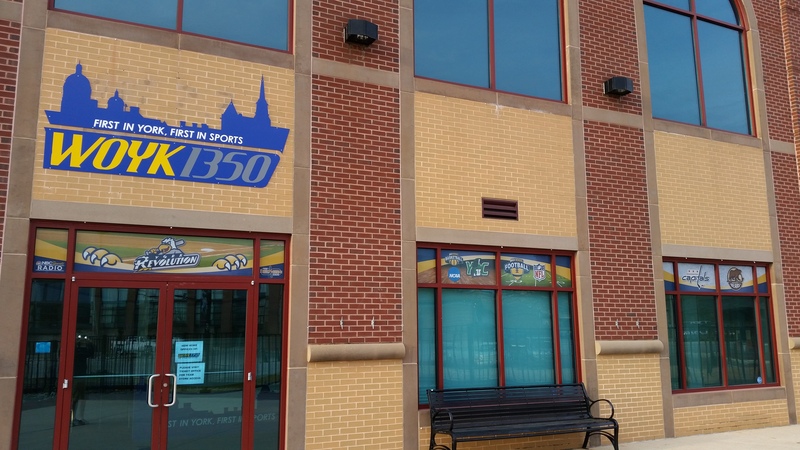 Fans can also listen online at WOYK1350.com, or by downloading the WOYK app.